On a Friday morning in May 2016, unseasonal snow was thick on the road as 22 year old Ryan Jones was on his way to fight a forest fire near Fort St. John. Suddenly the wheels got stuck and his car veered into the oncoming lane. He saw a car approaching and tried to turn back, but his car was stuck in the snow — he couldn’t turn away. 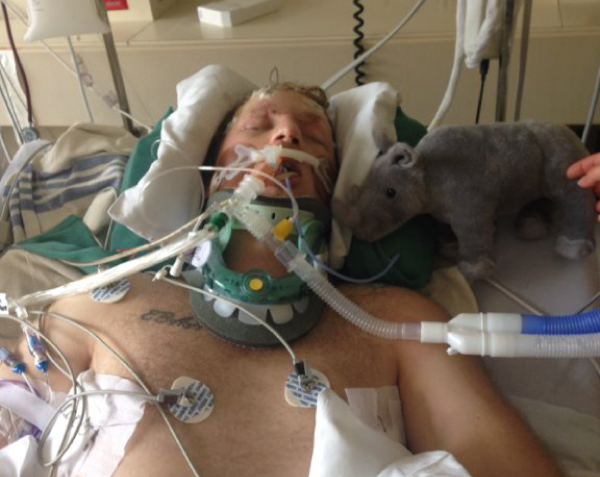 To Ryan, one minute he was driving and the next he was at Vancouver General Hospital (VGH). To his parents Donna and Jim, it felt like a lifetime. 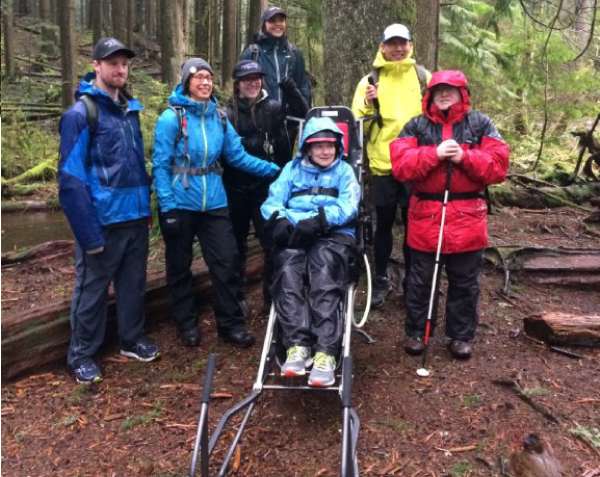 At VGH, the medical team determined that after his car crashed Ryan’s heart stopped for 35 minutes, which caused a traumatic brain injury due to lack of oxygen. He also broke a leg and his left hand. To give Ryan the best chance of recovery, Drs. Myp Sekhon and Don Griesdale had a revolutionary idea. For the first time in Canada they would use the “brain bolt” on a cardiac arrest patient. The brain bolt is a cutting-edge brain monitoring device made possible by funding from donors like you. By placing specialized catheters into a patient’s brain, the medical team receives vital second-to-second information including oxygen levels and blood pressure. 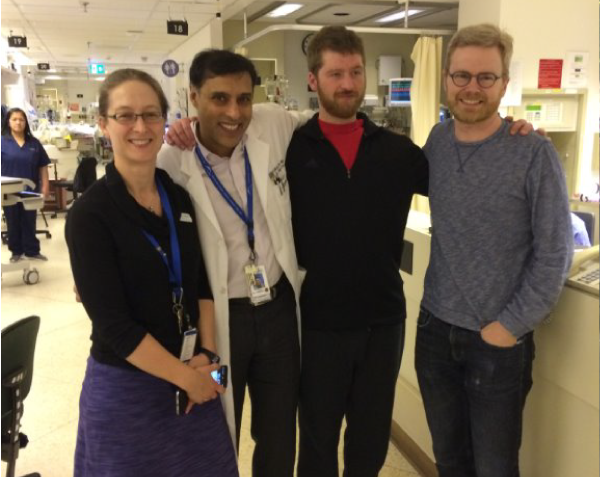 “Immediately after putting in the catheter the team was able to begin healing Ryan’s brain,” says Dr. Sekhon. Over the next five days, the brain bolt provided the critical information needed for the team to adjust Ryan’s blood pressure to the optimal levels for his recovery. Six weeks later, he woke up. At first Ryan was unable to speak or walk. 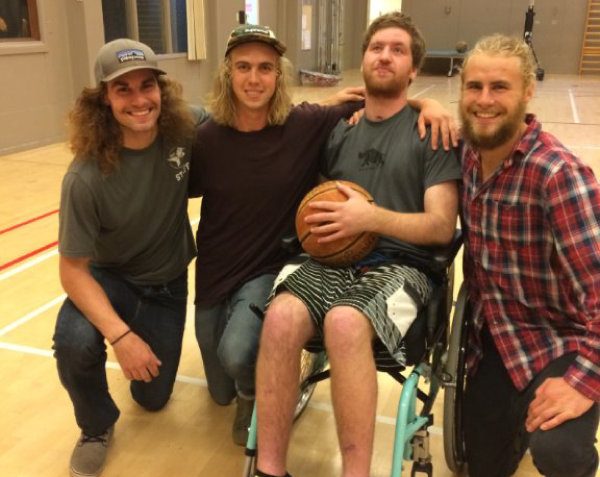 He needed the best rehabilitation in the province, so he was referred to GF Strong Rehabilitation Centre — a boot camp for the brain and body. 1 in 3 Canadians are affected by brain disease, traumatic brain injury or nervous system dysfunction. The Neurocritical Care Program at VGH is recognized as one of the leading academic programs in the world. Approximately 1.5 million people in Canada are living with a brain injury. GF Strong receives much-needed support from foundation donors to meet the needs of the many patients they work with. At GF Strong patients are provided one-to-one support by a variety of medical experts. Patients like Ryan have access to social workers, physio, speech and occupational therapists, doctors, nurses and other specialists. And while progress with Ryan was steady, Donna and Jim were worried his injuries were simply too traumatic for him to fully recover. Then one day everything turned around. Jim tossed the sock back to Ryan. Ryan grabbed it and threw it back again. It was the first time Ryan had interacted with his parents since the accident. “I was standing there going, Oh my god, he’s in there! Oh my god!” says Donna. 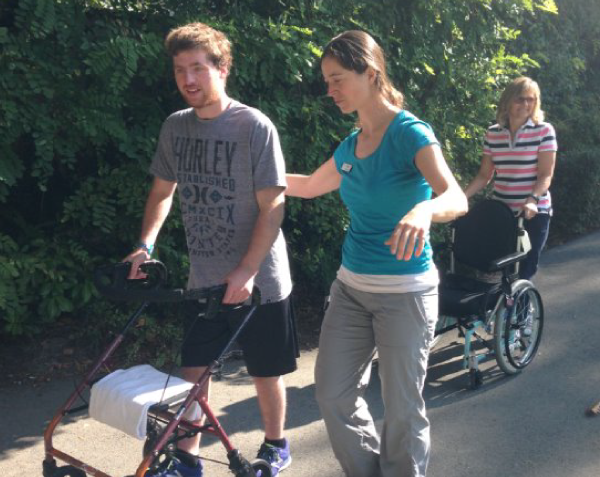 With renewed hope, Ryan and his family got back to work on his rehabilitation. Ryan practiced walking, talking, then holding a pen and writing — which came out as squiggles at first. After a few weeks he could write his name again. “From there he just got better and better,” says Donna. 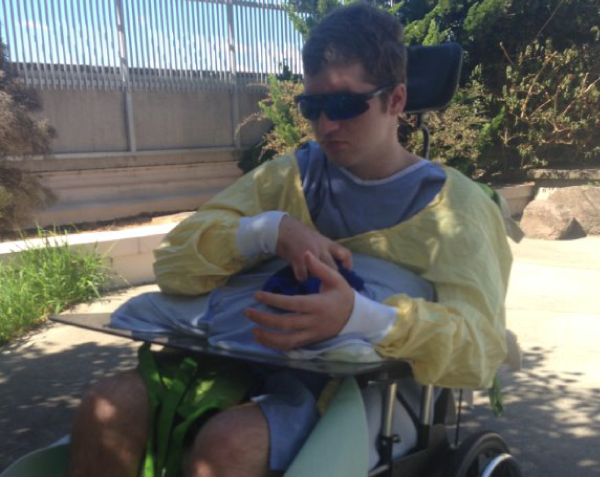 By December Ryan was discharged from GF Strong, walking on his own and able to hold a conversation. While he still had a long way to go, the expert team of specialists provided him the skills and knowledge necessary to continue on with his rehabilitation outside of the centre. Today, Ryan is happy and determined to return to firefighting. Following Ryan’s successful outcome, Dr. Sekhon and his associates have continued to study the effects of the brain bolt on cardiac arrest patients and the results are astounding. Innovative new ideas like the Brain Bolt are expensive to launch and would not be possible without your support. We need your help to fund innovative research and vital medical equipment to help patients like Ryan get expert help when they need it most. Learn more and donate today.